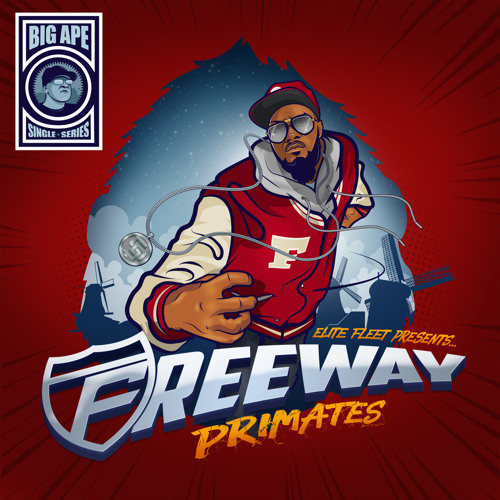 No stranger to tough talk and lyrical beatdowns, Freeway isn’t mincing words on his latest track, “Primates.” Like his previous drop, “Bombdroppaz,” this joint is another bruising and neck-snapping collaboration with Amsterdam’s Big Ape. While Freeway can certainly kick some knowledge with his raps, he can also stand alongside any rapper trying to flex on a track. And that’s exactly what he’s doing on “Primates,” which is all about bully raps spread across a heavy instrumental, with dextrous cuts courtesy of Sweden’s DJ Devastate.